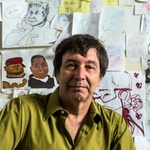 Garcia, Alejandro, "University Scholar Series: Alejandro Garcia" (2012). University Scholar Series. 12.